Brooklyn. Archipelago Books. 2017. 144 pages. A mandala is the product of an integrated art; a mandala is made to map the cosmos. But the cosmos comes in many shapes and sizes. Antonio Tabucchi, in his justificatory note about writing For Isabel, recalls a monk who, by sprinkling colored powder on stone, made a mandala of human consciousness. Jung has it that a mandala is “the Self, the wholeness of the personality, which . . . is harmonious.” But what do we have on hand if For Isabel is itself a mandala? On first look, the story is a straightforward search for resolution. Yet the logic of For Isabel is strange, dreamlike. Tadeus claims to be pure light but frequently eats and drinks—absinthe, cachaça, mandarin liquor affect him. Though Isabel lived in the twentieth century, the name Slowacki and his profession are suggestive of the nineteenth-century Polish romantic poet. Time itself is malleable for certain spontaneous characters, like the telepathic bat and the Mad Fiddler. Taken together, these facts are suggestive of some supernatural order, but in the end they only hint at one. Resolution comes without cosmic explanation. This dreamlike quality, this absence of rules, at times gives the work a sense of surprise, but it also makes the reader feel that the plot is undermotivated and casually constructed. What is For Isabel if it is a mandala? Our best hint comes in the beginning note. Written as a diary, Tadeus’s search is one kind of mandala. His travels map the life of Isabel. 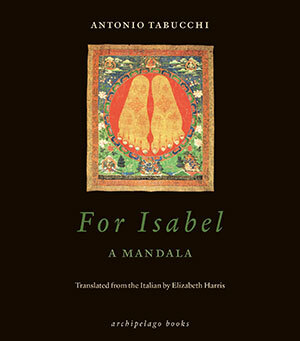 But Tabucchi claims to share with Tadeus a guilt toward the world and a need to resolve loss, so there is a sense in which For Isabel, as text on a page, is a mandala of regret and forgiveness. 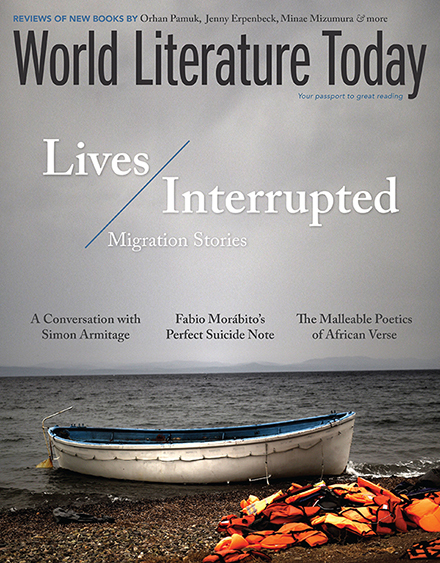 In this sense, For Isabel, with its easy prose and vibrant scenes, may speak to anyone.